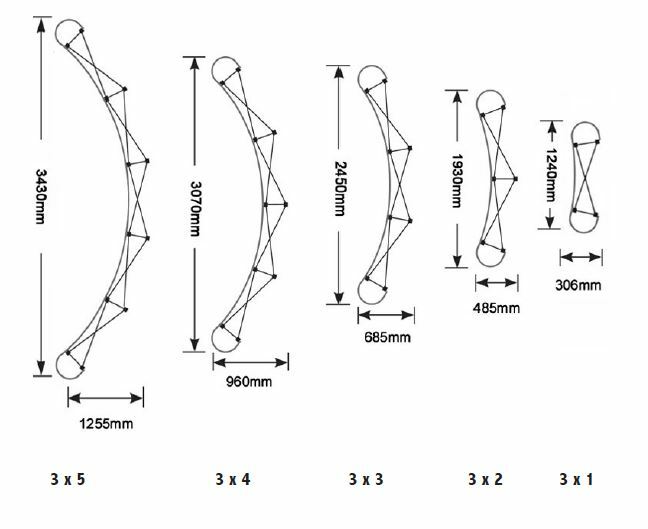 Pop-up exhibition stands are produced in various sizes from 3x1 to 3x5 curved or straight systems. The systems can be purchased as stand-alone systems or as complete bundles that includes a wheeled carry case that fits everything in. The wheeled carry case doubles up as a counter with a graphic wrap and wooden counter top to fully brand your stand. A bundle kit consists of the frame, graphics, lights, wheeled carry case and the counter top. 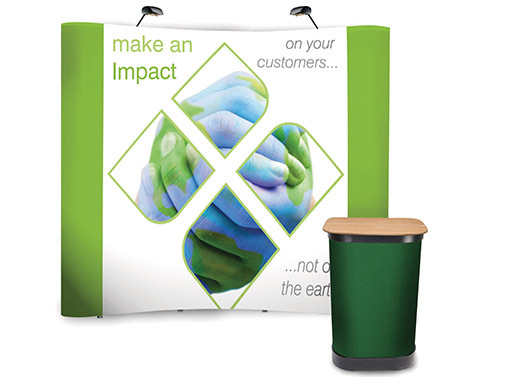 Pop-up stands can be dressed with graphic on the front and D-ends or the entire way round if you have a 360 degree audience. Graphics are easily changeable and it isn’t uncommon for us to join Pop-up stands with ‘ghost panels’ that float between and create seamless displays. 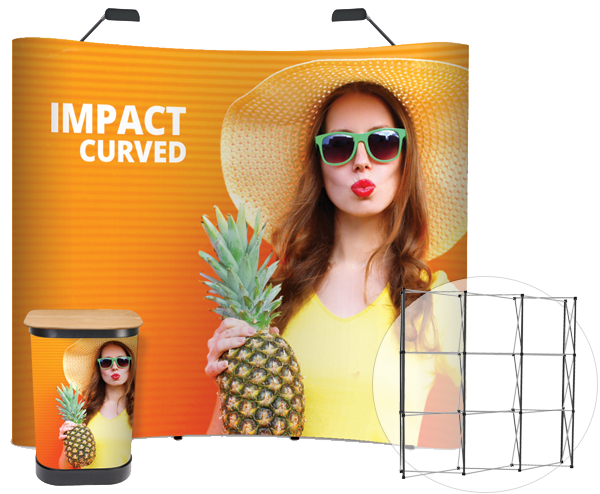 Pop-up stands are commonly used for exhibitions, trade shows and events where the exhibitor can bring the stand with them, set it up and then take it away after. No great skill is required. Printed using our photographic high quality inkjet printers on thick, durable stoplight material with an anti-scuff laminate, you can rest assure that your stand will be finished to the highest quality and it will last. To complement our Pop-up stand selection, we offer literature stands, roller banners and brochures to complete the range. Give us a call on 01480 493666 to discuss your requirements and don’t forget to visit our catalogue for a more in-depth look at the various Pop-up stands available.